Whether playing golf or hitting a baseball, “follow thru” is critical for consistent success. The same is true in sales for a senior living community. Move-ins are a process and not an event. Simply running an ad in the newspaper or holding an open house is NOT ENOUGH! What is needed is a systematic approach to prospect management AND the discipline to follow and adhere to that system. The system doesn’t have to be fancy or complex – an industry leader successfully utilized a manual system for years. But, it needs to maintain pertinent data about the prospect, track all activity and establish suspense dates for periodic follow thru. Of course, the system is not enough by itself either. The process starts with “getting the right people on the bus” Does this mean always hiring a super salesperson – someone who can sell ice cream to Eskimos? Is the ability to sell senior living a natural, “god-given” talent that can’t be learned? Anyone who has ever networked or established a relationship with someone else can be taught how to successfully build occupancy for their senior living community. So, what makes a person “right” for the job? Attitude, a desire to help and serve the aging population, willingness to learn and a drive to accomplish something are often more desirable traits than are technical skills. “This is a very simple game. 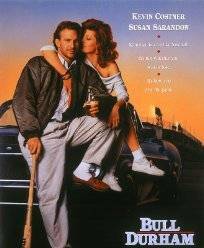 You throw the ball, you catch the ball, you hit the ball.” is a famous quote from the movie Bull Durham. Strategy (e.g. bunt, steal, intentional walk) can be complex, but continuous success depends on these basics. The sales process for senior living should also be kept simple. The basics are a good game plan, effective training and then consistent and relentless follow thru. but the follow thru will lead to the move-in. Some of the steps in the sales process can be viewed in a downloadable PowerPoint presentation by clicking here. This game plan should follow the sports axiom: good offense starts with good defense. In senior living, providing an exceptional experience for the current residents “defends” against unwanted move-outs and provides positive feedback to potential new residents and their families. There is no “magic pill” that works everywhere. A customized game plan must be created based upon each unique situation, just as a winning coach prepares differently for each opponent. A building with a low number of prospects needs to focus on filling the top of the “funnel” with marketing, advertising and branding efforts. Others may need sales training / reinforcement, or even changes in personnel. Over time, most facilities take on the personality of the local manager(s). Efforts should be taken to understand the local culture and select a manager with a similar background and personality. For instance, an urbanite with a high energy level who is used to a rapid pace, quick decision-making and a direct (in your face) approach to problem-solving may be a “duck out of water” if assigned to a rural facility. So, in addition to getting “the right people on the bus”, senior management needs to get them “in the right seat”. Senior living clientele have had success in their lives and are generally smart and sophisticated shoppers. They will want to become “part of a senior living community that shares common interests, values and/or resources”, but will also be attracted by local management with a personality similar to theirs. Make the contact about THEM. Have a REASON TO CALL. Make every contact a QUALITY interaction. Be Prepared for No Response. Get away from the trite “Lunch and a Tour”. Don’t expect to “Close”, but be Ready for the Opportunity. Relentless Follow Thru applies to all levels of the organization, which must present a consistent message from the top-down. Initial training, weekly sales calls, regional or companywide meetings, and mini-marketing workshops can be effectively utilized to establish targets, monitor performance, and reinforce adherence with the prospect management system. Ultimately, however, players must be put into the game and empowered to make decisions in order to build their self-confidence. This will present continuous “coaching” or personalized mentoring opportunities. Certain individuals need their high-pressure sales instincts to be toned down. Others need coaxing and hand-holding until they develop their comfort-zone. Positive reinforcement should be given for “wins” and emotional support for “losses”, with on-the-spot adjustments to procedures and techniques and additional training when necessary. “HOT” Prospects – the small percentage of prospects who are likely to move-in within the next 90 days – should receive a greater degree and frequency of sales efforts. An individual can turn hot at any step in the relationship building process – there is no exact formula as to when that will happen. They may simply say that they’re “ready”, but often some event in their life causes a change in their status. Examples might include a fall, death of the spouse, or loss of independence. The key is that relentless follow thru will enable you to know when these events happen and be there to provide support, answer questions and offer a SOLUTION. A customized strategy should be created for each hot prospect. Responsibility should be assigned and timing intervals established for facility visits, home visits, phone calls and invitations to activity programs or meals. Determine which features and amenities to highlight, as well as which unit(s) to target as “available”. Make sure that it’s clearly understood who has the authority to make price concessions to “close” the deal. It is helpful to notify ALL staff members and expect the unexpected (e.g. prospect showing up when the designated in-house contact is unavailable). Selecting a resident ambassador(s) and including them in the sales strategy can also be effective. Stuff happens causing a senior’s situation to change drastically overnight. Don’t lose an OPPORTUNITY by delaying your follow-thru. Be relentless in pursuing every available means to build a bond with every prospect. Lady Vols Basketball Coach Pat Summitt is the all-time winningest coach in NCAA basketball history, men or women, in any division with 1071 victories and an 84+% win rate at the University of Tennessee from 1974 to current. She was the first U.S. Olympian to win basketball Gold Medals as both a player and coach. Would you integrate the use of referrals into your process? What is your recommendation to create an ongoing, reliable base of referrals from residents and families? Referrals are part of “filling the funnel” or the marketing phase of the process. This particular article / series was geared towards the steps taken once a prospect has been identified – via phone call, walk in, attendance at a special event OR BY REFERRAL. Of course, the BEST referrals are those by satisfied customers, but the successful senior living facility will have an on-going program of community development & education to build that referral network in both the medical and business community. Art I am thinking about the referrals that come from recommendations. I agree that referrals from various outside sources are important. How about allowing prospect the ability to speak with family members and residents directly? Wouldn’t you want your customers to say “we would highly recommend this facility.” If you were to purchase a home or condo, would you like to hear what families/residents think of the community? Why not a senior living community? Absolutely Glenn. In my last paragraph, I mentioned involving a “resident ambassador”. That addresses the exact point you are making. There are usually a group of residents who are positive and fairly well-spoken that will be happy to advocate for the building. I often suggest that the prospective resident be invited to eat a meal with several of the existing residents – WITHOUT ANYONE FROM MANAGEMENT AT THE TABLE. They speak the same language and will “tell it like it is” in a way that the prospect will understand and appreciate. OF COURSE, you better be doing a good job of providing superior service to your residents and it does take a “leap of faith” for the manager or salesperson to turn the first prospect over to the residents without being there. But, when management can make that leap, they’ll find that their relationship with existing residents will improve AND they will have built invaluable allies in their sales efforts.